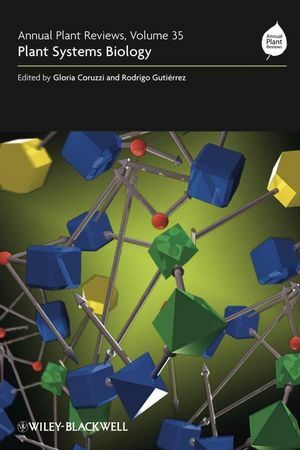 This volume captures the cutting edge of systems biology research and aims to be an introductory material for undergraduate and graduate students as well as plant and agricultural scientists, molecular biologists, geneticists and microbiologists. It also serves as a foundation in the biological aspects of the field for interested computer scientists. Libraries in all universities and research establishments where biological and agricultural sciences are studied and taught and integrated with Computer Sciences should have copies of this important volume on their shelves. Gloria Coruzzi is Chair of Biology and Carroll & Milton Petrie Professor at the Department of Biology and Center for Genomics and Systems Biology, New York University, New York, USA. Rodrigo Gutiérrez is Assistant Professor at the Molecular Genetics and Microbiology Department, P. Universidad Católica de Chile, Santiago, Chile and an Associate Research Scientist at the Department of Biology and Center for Genomics and Systems Biology, New York University, New York, USA. Part I. Systems Biology: an Overview. 1. Systems Biology: Principles and Applications in Plant Research (G.M. Coruzzi, A. Burga, M.S. Katari, and R.A. Gutierrez). 2. An Overview of Systems Biology (R. Albert and S.M. Assmann). 3. Prokaryotic Systems Biology (T. Kacmarczyk, P. Waltman, and R. Bonneau). 4. Animal Systems Biology: Toward a Systems View of Development in C. elegans (A. Fernandez, F. Piano, and K.C. Gunsalus). Part II. Plant Systems Biology: Enumerating and Integrating the System Components. 5. Software Tools for Systems Biology: Visualizing the Outcomes of N experiments on M Entities (C. Poultney and D. Shasha). 6. The Plant Genome: Decoding the Transcriptional Hardwiring (E. Grotewold and N. Springer). 7. The RNA World: Identifying miRNA, Target RNA Pairs as Possible Missing Links in Multi-network Models (P.J. Green and B.C. Meyers). 8. Proteomics: Setting the Stage for Systems Biology (S.C. Peck). 9. Metabolomics: Integrating the Metabolome and the Proteome for Systems Biology (W. Weckwerth). 10. From the Ionome to the Genome: Identifying the Gene Networks That Control the Mineral Content of Plants (M.L. Guerinot, I. Baxter, and D.E. Salt). 11. Development and Systems Biology: Riding the Genomics Wave Towards a Systems Understanding of Root Development (S.M. Brady and P.N. Benfey). 12. Perspectives on Ecological and Evolutionary Systems Biology (C.L. Richards, Y. Hanzawa, M.S. Katari, I.M. Ehrenreich, K.E. Engelmann, and M.D. Purugganan).